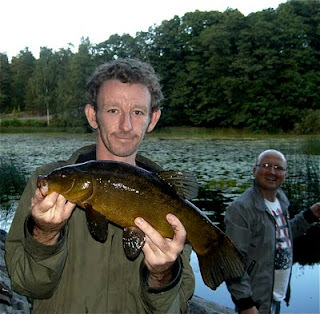 1.13Kilo, this fish came almost straight away.. 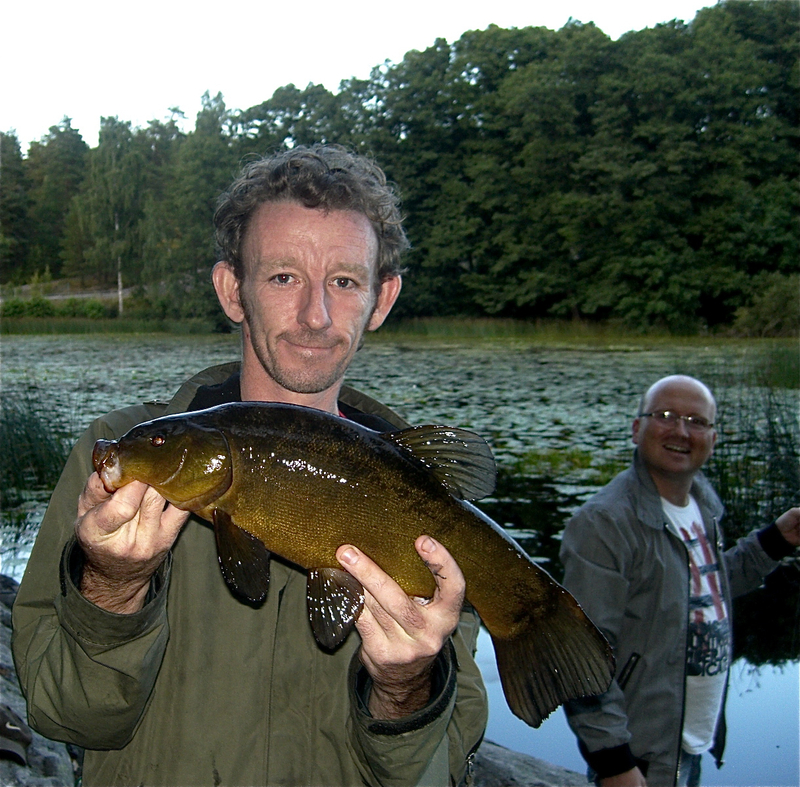 Spent the evening Tench fishing at Dammtorp with Ed, whilst Karl dropped out to get his face into a photo before heading off. 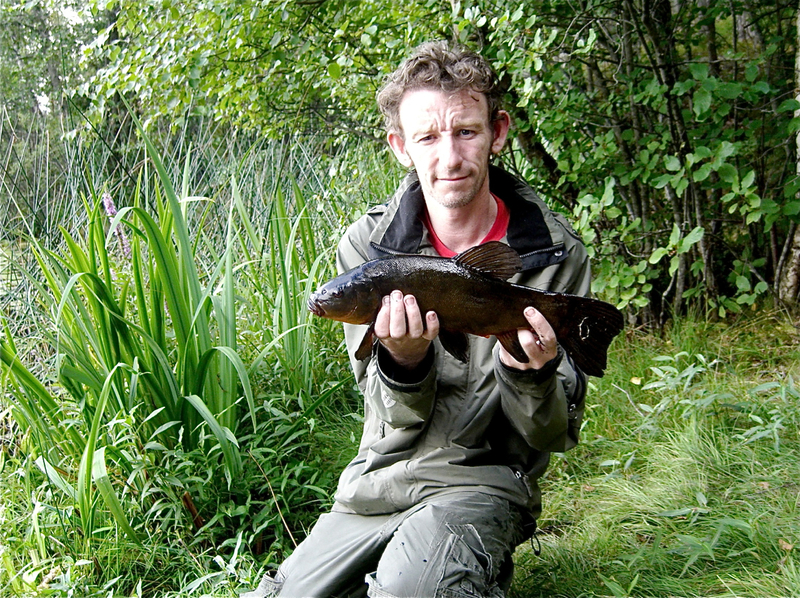 We were using float tackle, standard wagglers, I used maggot as bait while Ed opted for gilthead worms and a grain of sweetcorn. We grounbaited with a litle sweetcorn as well as loose maggots and I had a bite immediatel. A small Rudd! Then another bite. Another small Rudd! Then another bite..